Searching for a oceanfront condo in Myrtle Beach as an investment property, or even primary residence? Consider condos for sale in Dunes Village Resort. 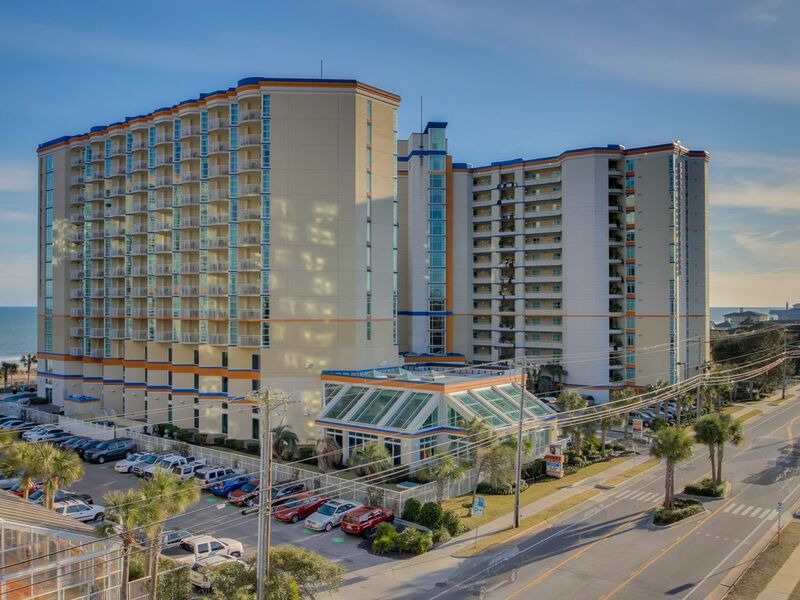 The resort is located along the "Golden Mile", an area of Myrtle Beach with the the highest concentration of luxury properties. Condos for sale in Dunes Village Resort, are certainly a step above most along Ocean Blvd. Year after year the resort is a top pick among tourist, which provides a proven track record of gross rental income. Dunes Village Resort features breathtaking amenities, that are again a step above the rest! For instance the water park consists of a 30,000 square feet of fun, with a huge array of different attractions. There is a 250ft long river ride, adult indoor water slides, water volleyball & basketball, several hot tubs, and several water attraction for the kids as well. In addition there is a arcade room, tennis court, and exercise room. Condos for sale in Dunes Village Resort have several beneficial services included in the HOA fee. Below I have these items listed. Call your Dunes Village Resort Expert Everest Vaught at 843-429-1876 for more information, or to view the magnificent Dunes Village Resort. Feel free to email me as well: everestsellshomes@gmail.com. "My Job Isn't Complete, Until My Clients Dreams Are Fulfilled." Search all Dunes Village Resort condos below! To view Monterey Bay Suites Condos For Sale.